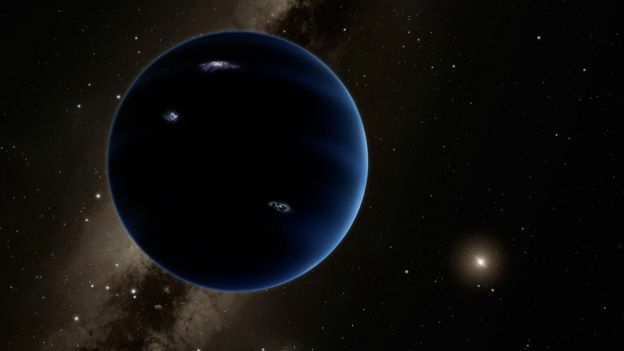 Evidence for Planet Nine was first presented by astronomers last January, and the hypothetical planet is estimated to be about four times the size and 10 times the mass of Earth. 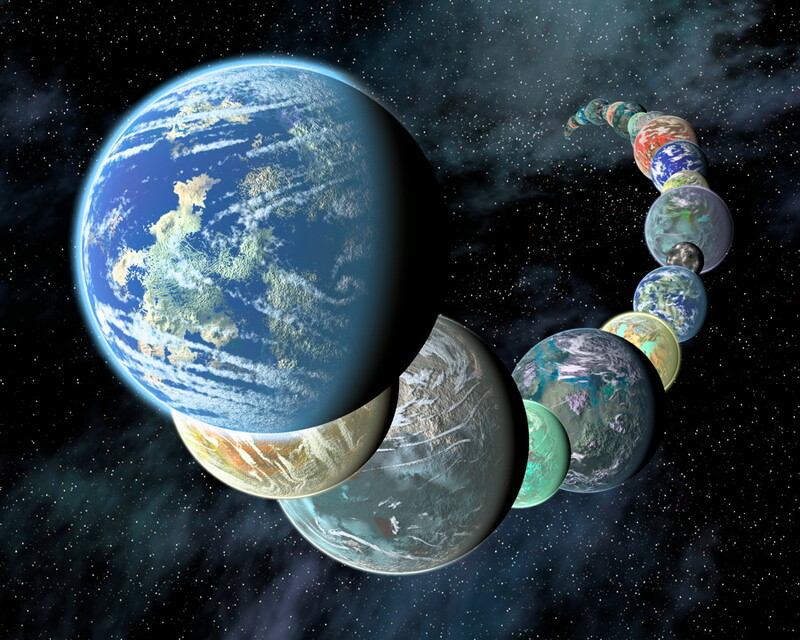 If confirmed, that could put it in the same category as “super-Earths,” exoplanets which have been found in abundance in some other solar systems and are significantly larger than Earth, but smaller than Uranus or Neptune. It is also possible that the planet, if it exists, is closer to the size of Uranus. The compelling, if still preliminary, evidence was put forward by astronomers Konstantin Batygin and Mike Brown, from the California Institute of Technology. Such a discovery would have a major impact on our understanding of the origin and evolution of our Solar System. A super-Earth would also make our Solar System a little more like some of the other ones being discovered; super-Earths seem to be fairly common around other stars, even though our own Solar System (apparently) didn’t have any. But perhaps it does, after all. The evidence for this possible ninth planet, not including Pluto, has already been reported on, but now it turns out that data from Cassini may be useful in helping to determine its actual existence and location. A new paper in Astronomy and Astrophysics outlines this strategy. “Evidence is mounting that something unusual is out there – there’s a story that’s hard to explain with just the standard picture,” said David Gerdes, a cosmologist at the University of Michigan, in Scientific American. The evidence so far for Planet Nine comes largely from the gravitational effects it should have on much smaller, icy bodies in the Kuiper Belt way out past the orbit of Pluto (Pluto is one of these bodies). Those measurements so far seem to agree with those predicted by astronomers, pointing to a large, but yet unseen, planet in the far outer regions of the Solar System. According to the new research, Planet Nine may also have a very slight, but measurable effect on Saturn’s orbit. Agnès Fienga and her colleagues at the Côte d’Azur Observatory in France think that Planet Nine might be the answer. They compared the data with an updated theoretical model which indicated that Planet Nine should currently be about 90 billion kilometers away in the direction of the constellation Cetus. That’s about 15 times the average distance to Pluto. Fienga herself isn’t positive yet about the analysis, but the data looks good so far. The analysis of Cassini data has helped astronomers to show where Planet Nine isn’t currently located in its orbit, in effect narrowing down the possibilities. But what about actually finding and observing Planet Nine? Astronomers have stated that they should be able to definitively locate it within the next two years, and maybe sooner. Even though it is large, it is so incredibly far away from the Sun that finding it will still take time. The Dark Energy Survey, for example, might be able to see it from the southern hemisphere. It’s also possible that Planet Nine could be seen in surveys of the cosmic microwave background (CMB). Nicolas Cowan, an exoplanet astronomer at McGill University, has proposed just such a search. “CMB experiments have historically used Solar System giant planets to calibrate their instruments, so we know that current and planned CMB experiments are sensitive enough to measure the flux from Planet Nine if it is as bright as we think it is,” he said. The search may seem daunting, given how much space there is out there for the planet to possibly be in, and the immense distance, but by using the refined calculations astronomers can narrow down where they think it should currently be in its orbit. Encouragingly, they have been able to rule out parts of that orbit already. 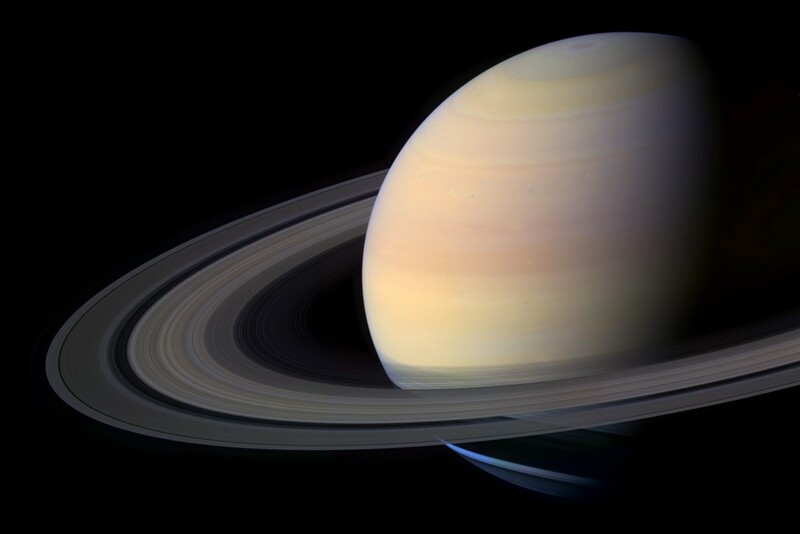 It is rather incredible to think that miniscule gravitational tugs on Saturn could help solve another big Solar System mystery much farther away, and lead to the discovery of a whole new world. There is also a new study which suggests that Planet Nine may be a rogue exoplanet captured by the Sun’s gravity. Such planets have been found before, floating freely in space instead of orbiting a star. In another interesting Cassini-related development this week, it was announced that the mission had also confirmed methane ground fog on Saturn’s largest moon Titan. 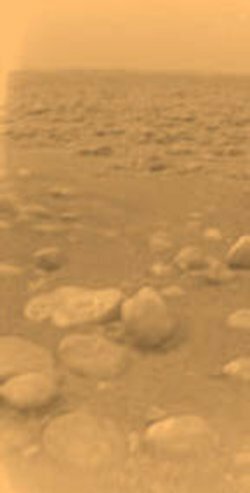 The data comes from the Huygens lander, which separated from the Cassini orbiter and landed on Titan in 2005. Even though the data is old, new discoveries are still being made by scientists. Ground fog on Titan had been theorized before, and fog was observed at the south pole by Brown in 2009, in images from the Cassini orbiter. But now the new data shows that Huygens also observed ground fog as it descended to the surface and after it landed. 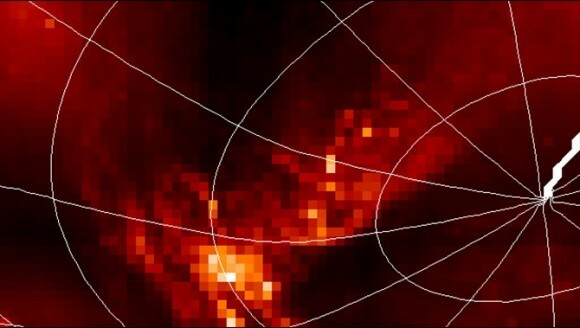 The discovery was made by examining data from the Side Looking Imager (SLI), one of three cameras which are part of the Descent Imager and Spectral Radiometer (DISR) instrument on Huygens. These cameras took images which were combined to produce panoramas of the landscape and atmosphere. The first images from the ground revealed many rounded rocks and pebbles, but didn’t show any noticeable changes from frame to frame; the cameras were programmed however to continue taking images for about an hour after landing. The cameras also pointed in only one direction, so all frames showed exactly the same landscape. Huygens itself didn’t last long after its batteries drained in the harsh, cold environment. These old images were given a fresh look using a technique developed initially for the Phoenix lander mission to Mars (2008), called “mean frame subtraction,” which could bring out more detail in the images. Those raw images contain 256 shades of grey, and when scientists removed only the parts of the images which stayed exactly the same from frame to frame, they could tease out changes which were otherwise difficult to see. When the technique was applied to the Huygens images, it showed a featured which fluctuated in 6 out of 82 images examined. Further analysis indicated it was most likely a low-level fog bank which rose and fell a bit while the images were being taken. On Titan, this fog would consist of methane instead of water or ice droplets. The discovery of ground fog on Titan adds to the fascinating range of activity seen on this moon. 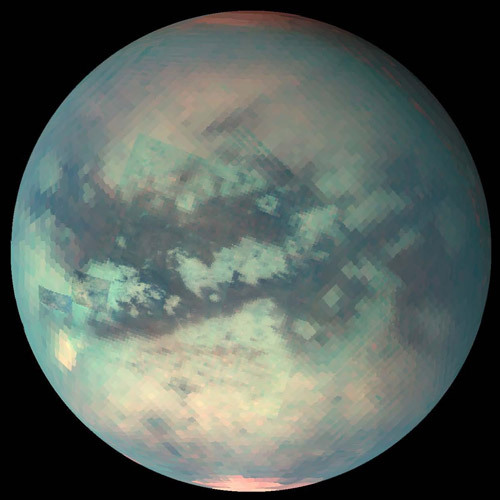 Titan’s “hydrological cycle” imitates that of Earth, but the fog, rivers, lakes, and seas found by Cassini are liquid methane and ethane instead of water. On Titan, it is so cold that methane is liquid and water ice is as hard as rock. There is, however, thought to be a subsurface ocean of salty water, similar to what has been found on Europa, Enceladus, and Ganymede. The new paper, “Possible ground fog detection from SLI imagery of Titan,” was published in Icarus and is available here. The Cassini mission has been incredibly successful, revealing entirely new worlds to human eyes, and it may even hint at another still-unseen world much farther away. *Note: Some media reports stated that Planet Nine may be affecting the orbit of the Cassini spacecraft, but that is wrong; it is actually the orbit of Saturn which may be slightly affected.